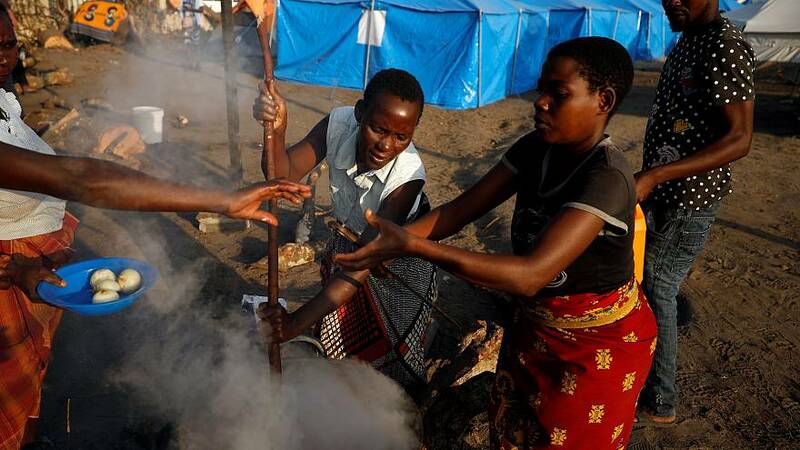 After cyclone Idai's devastating action, Mozambique becomes another setting for the World Food Program's relief operations. WFP, a United Nations agency, intends to reach 1.7 million people in the coming months. WFP's Executive Director, David Beasley, visited the country last week and gave his testimony to the European Commission officials and also presented the 2019 Global Report on Food Crisis in Brussels on Tuesday. "Any crops in the ground in Mozambique now are rotten, destroyed. I witnessed this first hand, so they are going to have a food security issue for some time to come. This is not a three-month problem. This is, at least, a one-year recovery process. You may debate what is causing the climate change but one thing that you cannot debate is the impact the climate extremes are having today", David Beasley said in an interview with Euronews correspondent, Isabel Marques da Silva. A concern in the 2019 Global Report on Food Crisis is most of the 113 million people experiencing acute hunger are living in just five countries in Africa (Democratic Republic of Congo, Ethiopia, Sudan, South Sudan and Nigeria). Nonetheless, the worst crisis is in Yemen. Afghanistan and Syria are also in the top eight countries listed by WFP, making Western Asia and the Middle East the second most affected region. WFP advises the international community to step up efforts to end conflicts, empower women and improve rural infrastructure. This UN agency warns that more humanitarian aid to improve food security has to be part of the policies to avoid uncontrolled migratory flows. "You got to wake up! If we don't address the root causes of these problems, the price tag is going to be hundredfold. These numbers did not include Mozambique, Venezuela or North Korea. We expect the 2019 numbers, at this stage of the game and if things are to continue, to be substantially worse then the numbers we are looking at now", explained David Beasley. For the victims of the cyclone in Mozambique, Malawi and Zimbabwe, WFP needs 174 million dollars for the next three months. So far, it has only received donations and pledges amounting to 25 million.